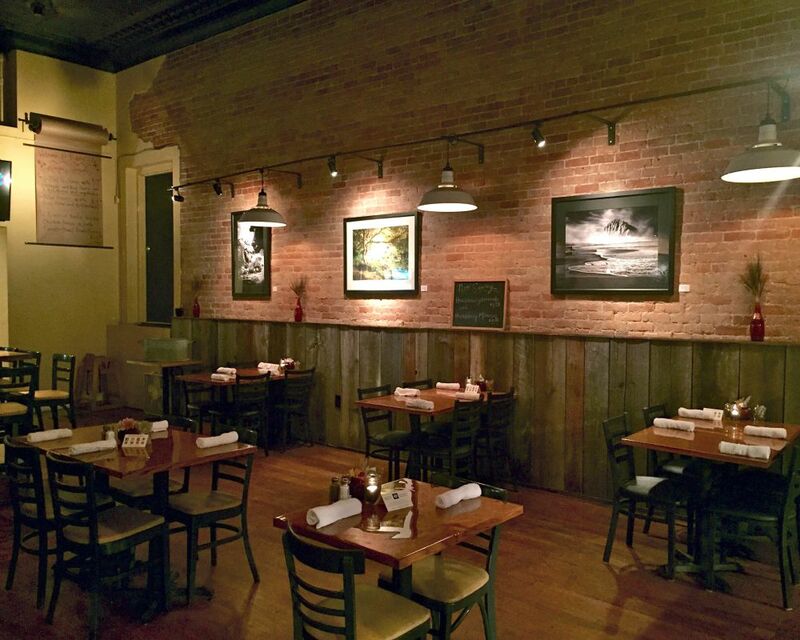 This is THE PLACE to dine for lunch OR dinner in Sandpoint, Idaho. 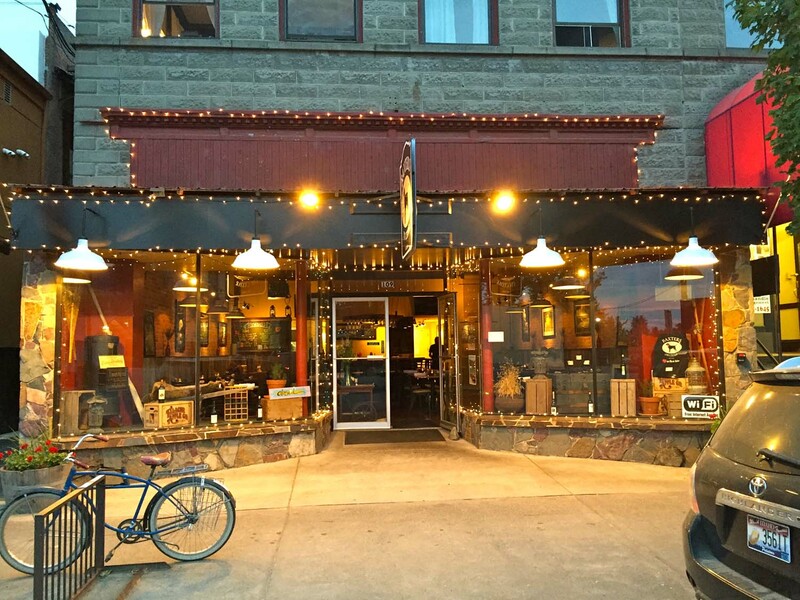 We were in the area 6 months ago and ran across this great new bistro after going to the wonderful Sandpoint farmers market. The food is awesome, the service on point, the atmosphere warm and inviting and they play music you want to hear while dining! (Which in my opinion is hard to find these days...I don't want to listen to loud Rap when I'm eating!!!) You will really be missing out if you don't try this place! The owner is front and center and working as hard as anyone else. And that is as it should be! (Also a rather lost notion in this world of "I'm too good/better than my employees to clear tables etc!") Great restaurants are hard to find so when I find one I want everyone to know about it. 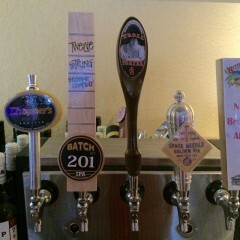 Get over to Baxters on Cedar and let them tickle your taste buds! 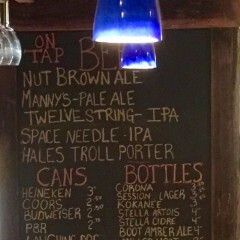 ...And by the way the wine and beer list is not too shabby either. 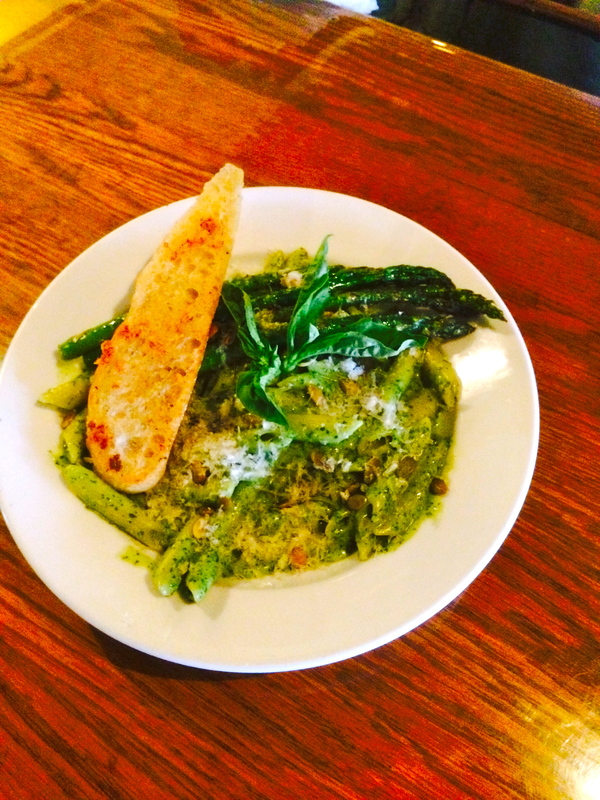 Whether for a casual lunch or a nice dinner for two, you cannot go wrong here! While walking in the downtown core of Sandpoint expecting to go for pub or Mexican food my husband and I came across a chalk sandwich board at Baxters on Cedar. It listed the evening's menu featuring rack of lamb, dungeness cab cakes, arctic char and more. We looked through the open door and the place was inviting so we decided to give it a try and were met by prompt, courteous staff. My husband ordered the dungeons crab cakes entrée with aioli sauce which were certainly some of the best he has ever had and I enjoyed the tender, smokey duck served with fresh asparagus spears and potatoes. To end off our meal we shard a terrific chef special key lime pie. This place has that eclectic wine bar feel. Great food great atmosphere. Blues music background I love it! They have only been here a month, I think they will do great! The bartender recommended things that were a delicious delight. I highly recommend. Excellent food and service had the duck confit but in the bahn mi sandwich ---perfect !!! Hubby had the Baxter big burger and key lime pie for desert both perfect ! Waiter was very accommodating when I asked about sandwich and we would definitely go back! We've had lunch and dinner here several times and each time has been good. The meatloaf, burgers, fish and soups are all well thoughtout and prepared. My favorite meal, and the one I keep coming back for is the Caesar salad with grilled shrimp. It is perfectly dressed with a light tangy dressing and the shrimp are the perfect pairing. Wines and beers are good and well priced, too. Delighted some visiting friends wanted to experience this venue. The menu is unique the atmosphere is comfortable. The location is perfect to allow easy access in this town on the shores of a gorgeous lake. We were six traveling together and each of us was impressed with our choices of food. Definitely will pay a visit again when we are in the area. A local shop owner recommended this restaurant, and we are glad that she did. The lunch prices are really reasonable, and the choices include different items like duck confit sandwich. We had a large spinach salad filled with bacon, maytag blue cheese, apple and pumpkin seeds and a HUGE meatloaf sandwich with french fries. 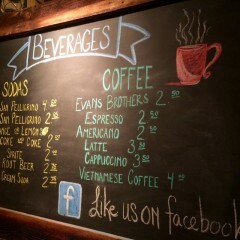 The prices are really reasonable! Friendly service, too. 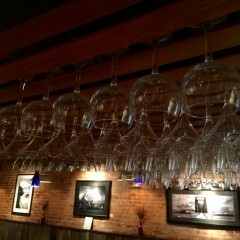 Had dinner last week at this lovely quaint new restaurant in Sandpoint. Every table was booked so we sat at the bar and enjoyed very friendly service, outstanding food and wine. The Halibut was the best my husband and I ever tasted and the homemade meatloaf and gravy amazing. Love that the the owner named his restaurant after his dog who he rescued. We will definitely be back. Oh, the Key lime pie was GREAT!!!! We opted to try this new restaurant instead of the usual and busy brewery around the corner. We're glad we did! Our lunch was terrific with perfectly cooked burgers, yummy fries, and a pork belly sandwich special that was superb. 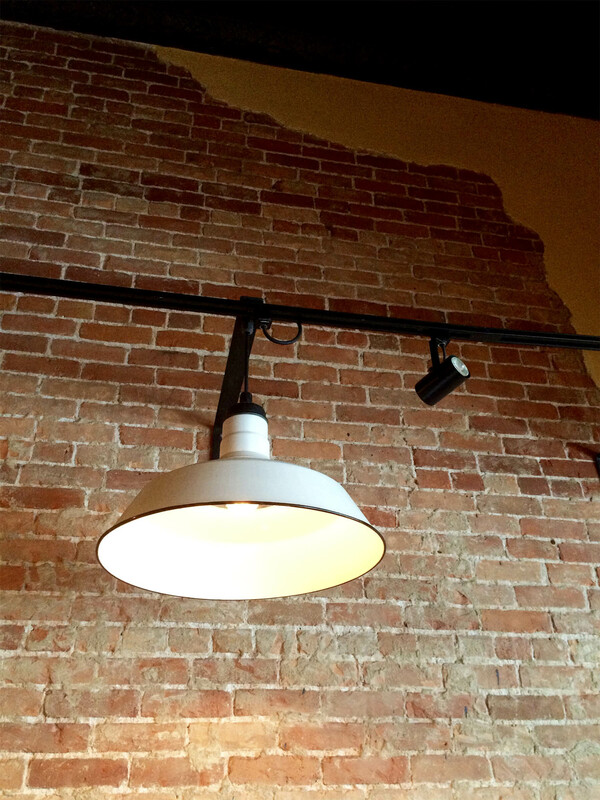 Baxter's has a great ambiance with exposed brick and barn board walls filled with lively zydeco music. It was a memorable meal for all of us and all at a reasonable price, even with a nice bottle of wine. Even though we didn't have room enough to order desert, our server brought a complimentary slice of key lime pie for us to try. It was house made and delicious! 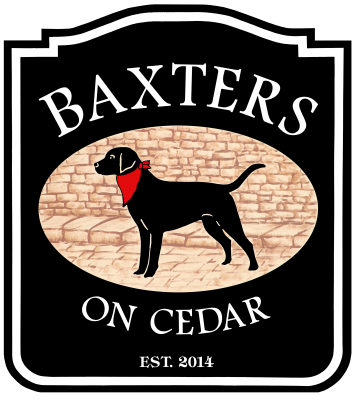 As you stroll down the main drag (N. 1st St.) in Sandpoint, be sure to go around the corner on Cedar Street and check out Baxter's! Hands down- the best dinning in Sandpoint. The menu was complete. I had the lamb and it was done just right. My wife had one of the specials-almond crusted halibut. It was excellent. Prices were average and portions were good. We had a nice chat with one of the owners-Rich. He gave us a generous slice of key lime pie for our anniversary. 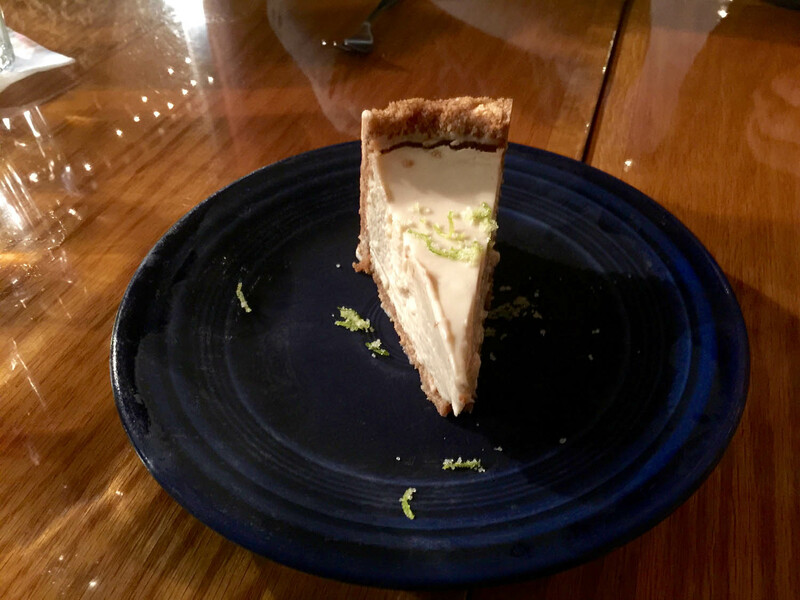 This is the best key lime pie I have ever tasted and I have been to the keys. We will definitely go back! 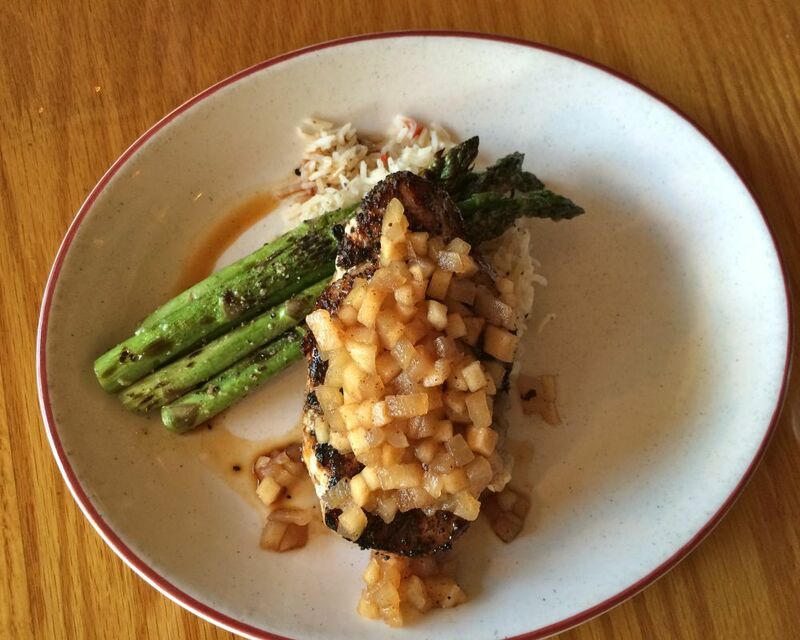 I had an excellent crab salad and the pork chop special: both great. Second time before leaving town I had acorn squash soup and the lamb sliders. Every day I had the 'killer" key lime pie, the best I've ever had! Thought this was just another Burger and beer spot, but was mistaken. good beer, very good wine at reasonable prices. Very interesting menu. several quality specials and the burgers are good. Sunday Brunch has some variety. Good atmosphere with some sports shows for those who so desire. recommend giving it a try. Tried this restaurant for the first time and returned the following evening. 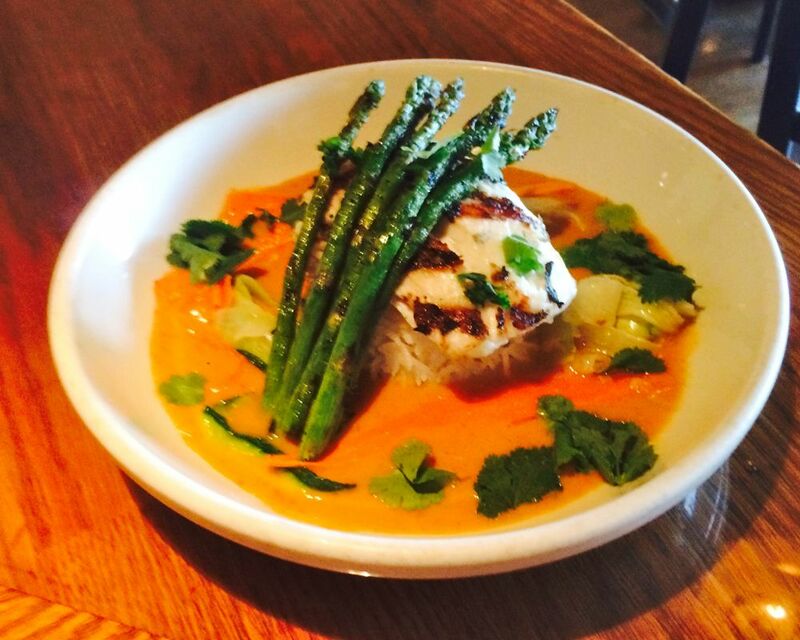 The almond crusted halibut was prepared to perfection. My husband had the lamb and said it was the best he has ever had.A smaller restaurant,staff were awesome! The waitress remembered us from the previous evening and recommended the key lime pie which was rich and flavorful.A really nice wine selection as well. Will definately return. 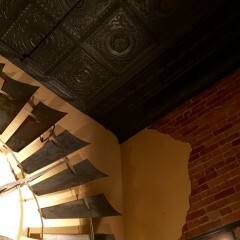 Excellent trendy little restaurant in the heart of downtown. Food and service were excellent. I had the duck breast and my wife had the catch of the day, which were fresh scallops with a huckleberry sauce, deliceous... We finished off our great meal with a slice of their speciality Key Lime Pie, which was fanastic. Highly recommended! First time drop in for a glass of wine and appetizer. We each had a glass of white, mine a white blend, hers a chardonnay, both were excellent, hers richer. Just had chicken wings, that were very juicy, well marinated, cooked for the order, you get whole big wings. 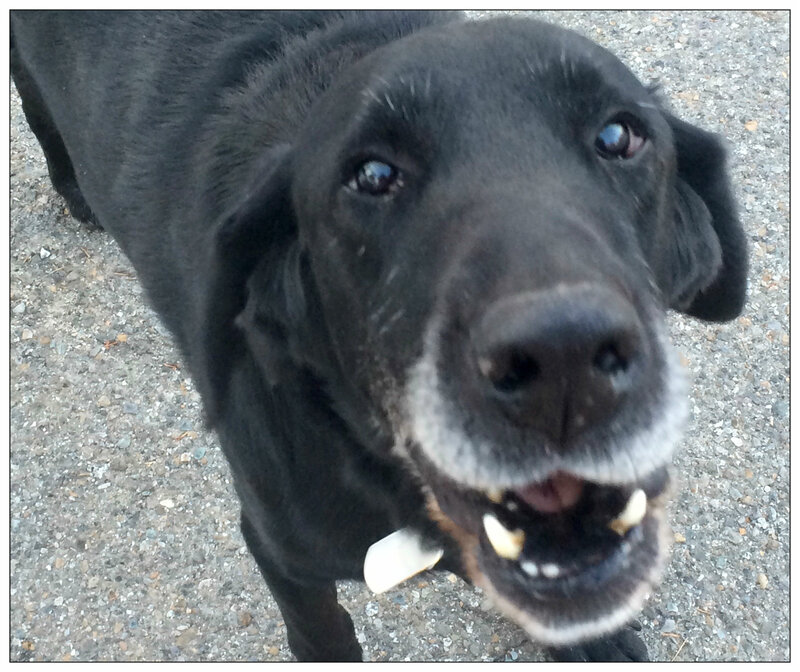 Friendly service by owner--Baxter is his Lab. Will B back soon! My husband, sister and I took a drive to Sandpoint to show her the area and happened to run into the artist who had on exhibit some of his wonderful pictures at Baxters. He recommended them for lunch, so off we went. The 1900 brick building with original wood floors has been tastefully remodeled. We were after the main lunch crowd time, so we snagged a table by the window and listened to the great zydeco music as we perused the menu. We all ended up ordering burgers with aged white cheddar, of course my husband had bacon. I had a very good local porter, he had a white wine and my sister had a Coors in remembrance of a dear cowboy friend who had recently passed. The burgers and fries when they came were piping hot. Fries were perfectly crisp, golden brown and salted. The burgers were the best we have had in their simple perfection. Hot, moist, juicy hand made patty with nice slice of melted aged white cheddar, tomatoes, red onion, lettuce and soft bun. And when I say juicy, I mean small drips down your hand as you take a bite juicy. All three of us literally ate every bite of burger and fries, they were all so good. My husband chatted with the manager about how they made their burgers and business. Afterwards he treated us to a piece if key lime pie with graham cracker crust, which was Amazing. You would think after burgers, fries and beers one could not eat key lime pie. We all agreed it was the perfect ending to the meal, leaving with the taste of soft citrus heaven. The service was wonderful, you could really tell that everyone there was invested in your meal and were interested in making your experience great. The burger was wonderful! Key lime pie is a definite must have! Last, the price was SO REASONABLE. you'd pay a higher price at Twigs and you'd get mediocre service with sub-par food. Must stop! Especially after skiing. My husband and I were in Sandpoint last weekend. 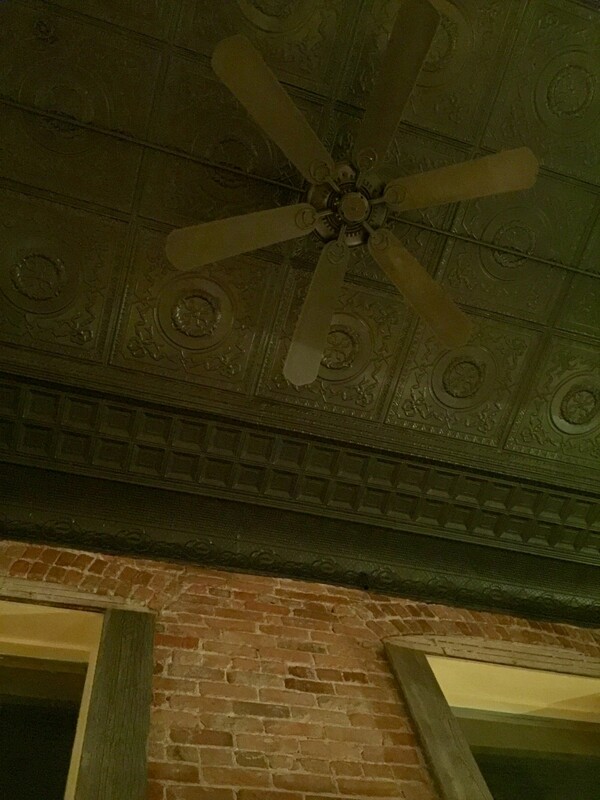 We happened onto Baxters on Cedar and were pleasantly surprised to find a quaint restaurant/bar with excellent service despite being very busy. Our meals and beverages were served promptly. Large pour of my wine and my husband enjoyed a local brew. We enjoyed the artwork on display and the overall atmosphere. 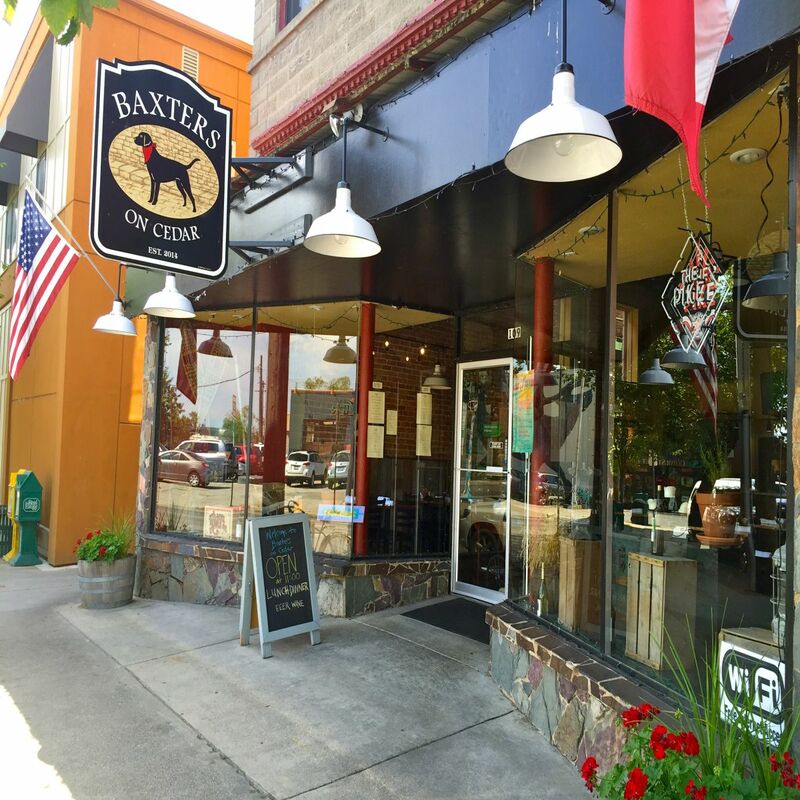 As a Sandpoint local, since Baxter's has opened it is one of our 'go to' places for consistently good food and great service. The man behind the bar, Tom, has always been an awesome host. The atmosphere is very inviting and relaxing. As a local Baxter's has become one of my groups go to places!! Took excellent care of us for our group Christmas dinner, and my husbands birthday with making something special for us that was amazing tasting!! Tom the owner is wonderful and they have supported our local football team by donating starch's for our team dinners!! Way to give back to your community!! 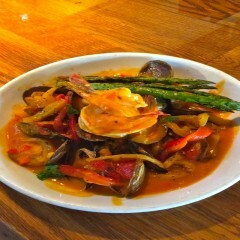 All my meals have been wonderful and the cioppino is out of this world! My aunt was visiting from Denver, Colorado. I took her to Sandpoint for the day. 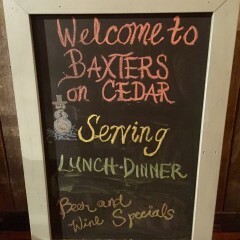 We popped in and had lunch at Baxters on Cedar. We had never been to this restaurant before. The food was outstanding!! 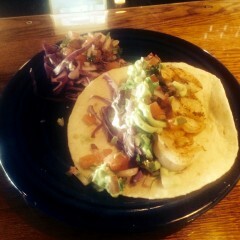 We had shrimp tacos, Chardonnay and Key Lime Pie for dessert. The Key Lime Pie was to die for. I am not even a Key Lime Pie lover, but this dessert was out of this world. Head to Baxters on Cedar and order Key Lime Pie!!! we are so excited to see a new place for lunch and dinner in Sandpoint! Never been many choices for our style of food. It's a nice little bistro. We had the pork loin sandwich which was delicious as well as the salad! We also ordered their key lime pie which is so creamy and to die for! Will definitely be back! 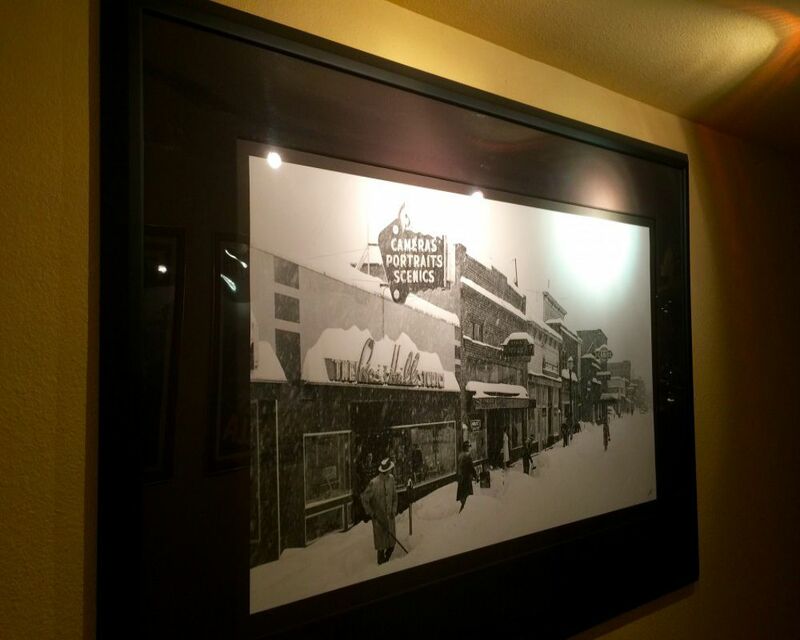 Warm, comfortable and slightly upscale from the rest of Sandpoint's eateries. Great food, friendly staff. Delightfully quiet but not stifled. I live here and this is a must for the wife and I when we want to go out. I have tried almost the entire menu and am never disappointed. Tom is great and there is always a seat. I've eaten at Baxter's at least half a dozen times and have never experienced even the slightest disappointment in the food or service. 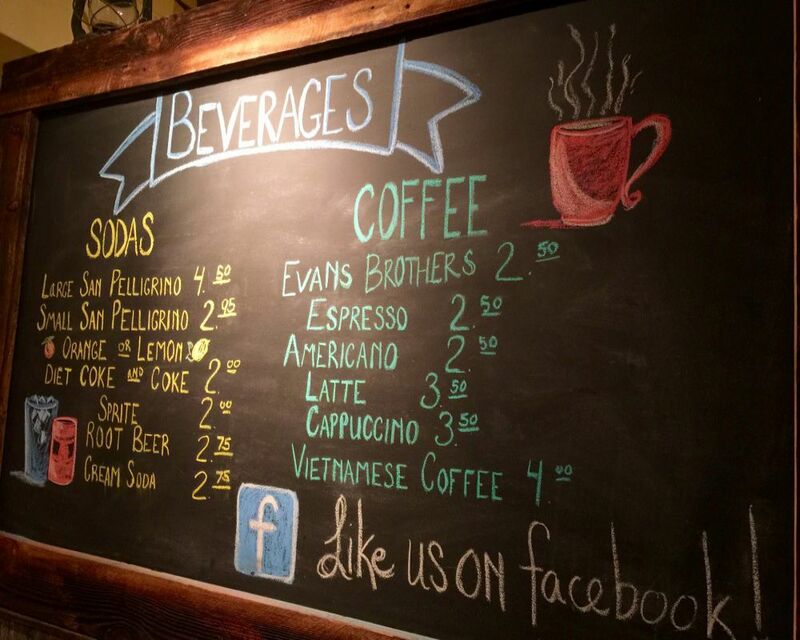 Tommy is gracious and knowledgeable about the menu, wine, and beer list. 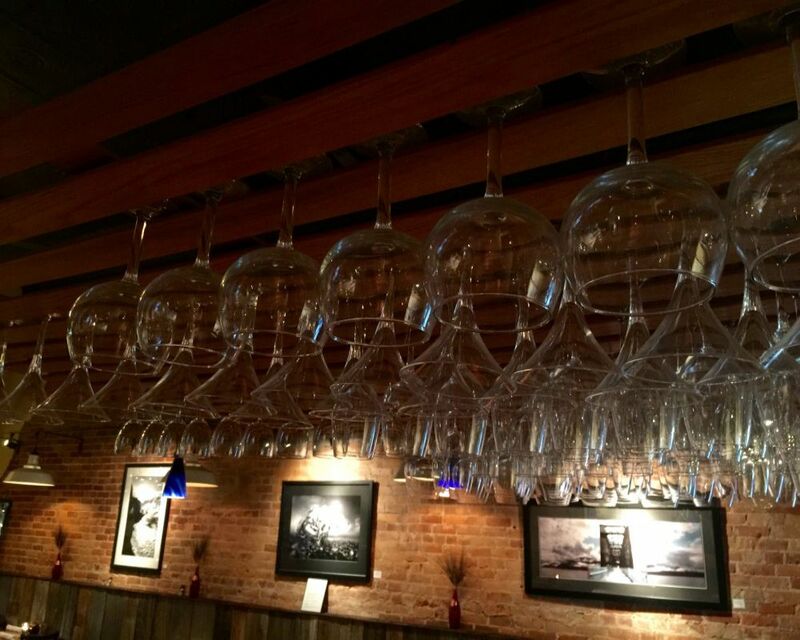 The ambiance is just right and captures Sandpoint perfectly: relaxed yet sophisticated. And just when you think it can't be any better, you taste the Key Lime Pie! I recommend it unhesitatingly, even to someone who may believe he or she doesn't like Key Lime Pie. It's incredible. Go, take your friends, have a good meal, and then spread the word. At the very top of Sandpoint's food pyramid. 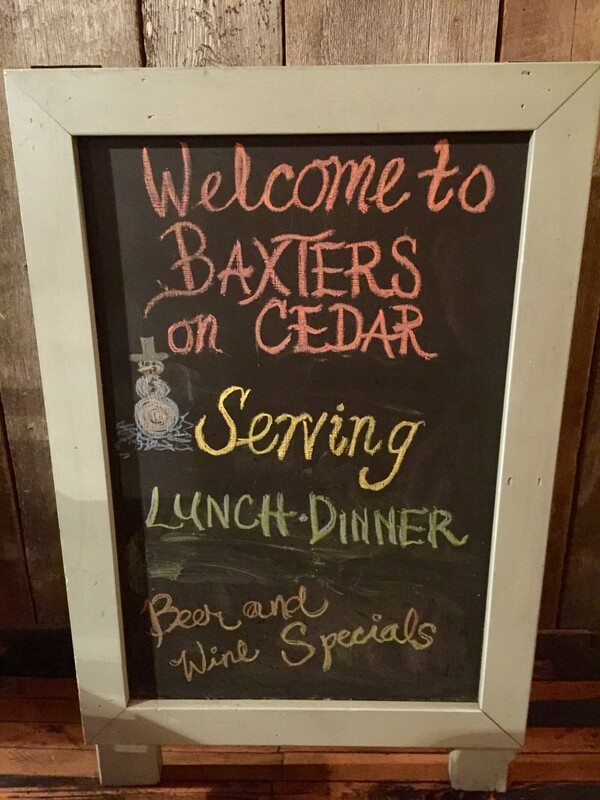 I've eaten at Baxter's 10 or more times and have always enjoyed it, whether for lunch, dinner, or Sunday brunch. 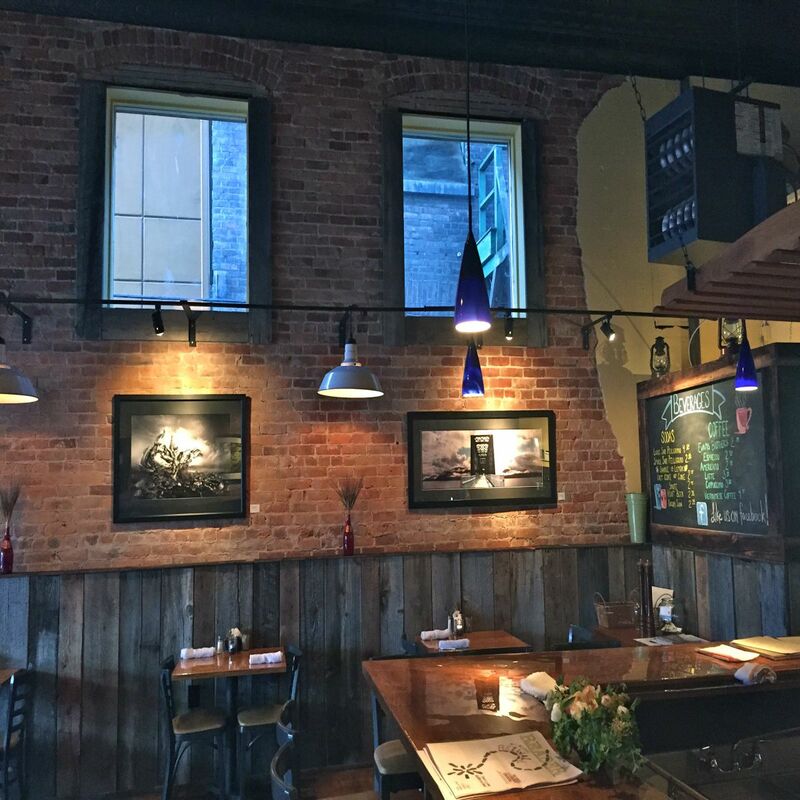 Great food, excellent wine and beer selections, casual yet refined ambience, reasonable prices, and service that is always cheerful and prompt make this a top restaurant in Sandpoint. Tom is a born host and is rightfully proud of his key lime pie--it is unbelievable! 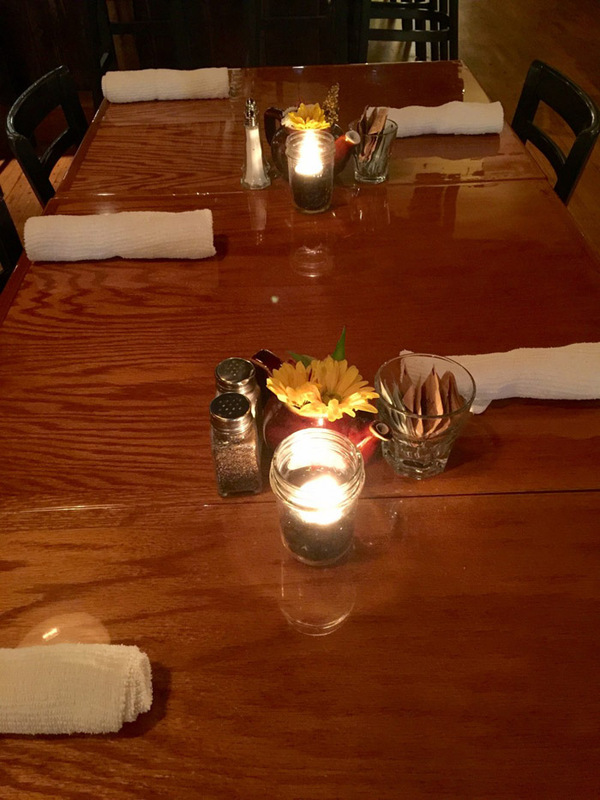 Perfect place to meet friends for a drink and appetizer, a romantic dinner, or just lunch. Great atmosphere; friendly and relaxed. Good service. INCREDIBLE FOOD. We had a delightful dinner here. The service was excellent. Soup and salad very nice. 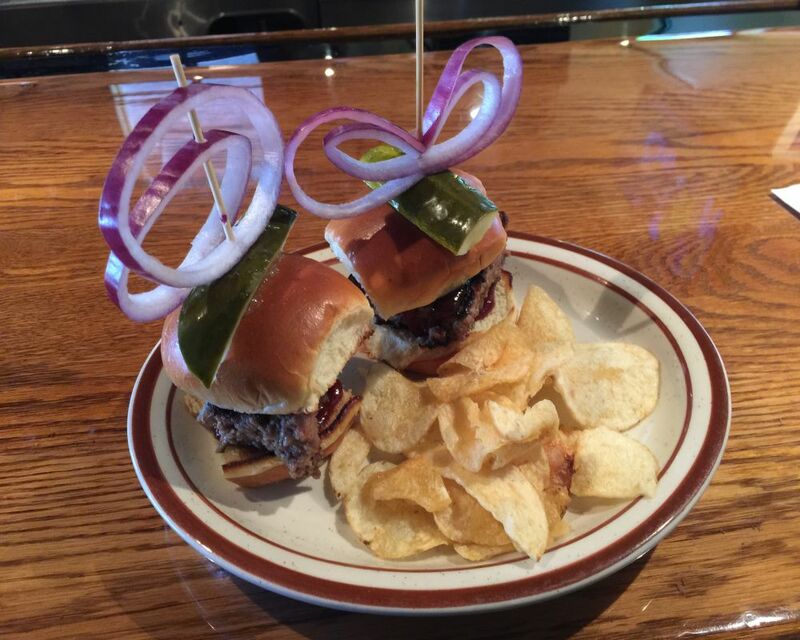 The lamb sliders melted in my mouth. The meat loaf was awesome. And yes, we did save the best for last - you must try the key lime pie! Very relaxed pub atmosphere. Beer and wine available. We were just passing through, once, but ended up looping back on our way out. I can't recall the last time a place demanded such a change of itinerary. These guys know what they are doing, from decor and seasoned service staff to a kitchen that's cranking out killer selections. The crab cakes, and I'm a connoisseur, were hands-down dynamite. We family-styled and not one dish was less than spectacular: pork chop, rock fish, even the burger killed it. My travel partner, whose lived in Key Largo for the last decade, had the Key Lime...twice. Well worth ANY detour. Don't miss it! Had dinner with our family here and it was great! The pork chops were recommended and they did not disappoint, would highly recommend this dish! The key lime pie is not to be missed. On top of great food, we had fantastic service. 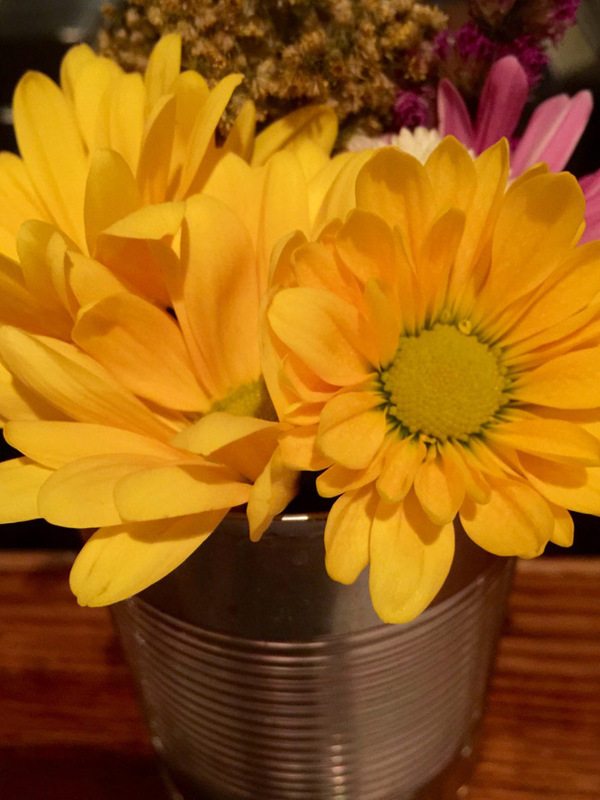 Dining out with kids can be tough at times, but the server was friendly and accommodating and made the experience even better. Thanks for a great evening!! 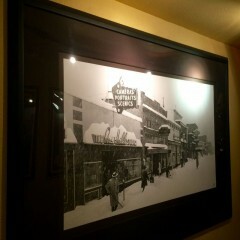 Nice ambiance, Beautiful artwork for sale. We ordered the lamb sliders (first time having lamb and this dish did not disappoint) we both ordered burgers with aged white cheddar. The fries were amazing!! We really enjoyed our meal. Thank you Baxters for a great experience!!! 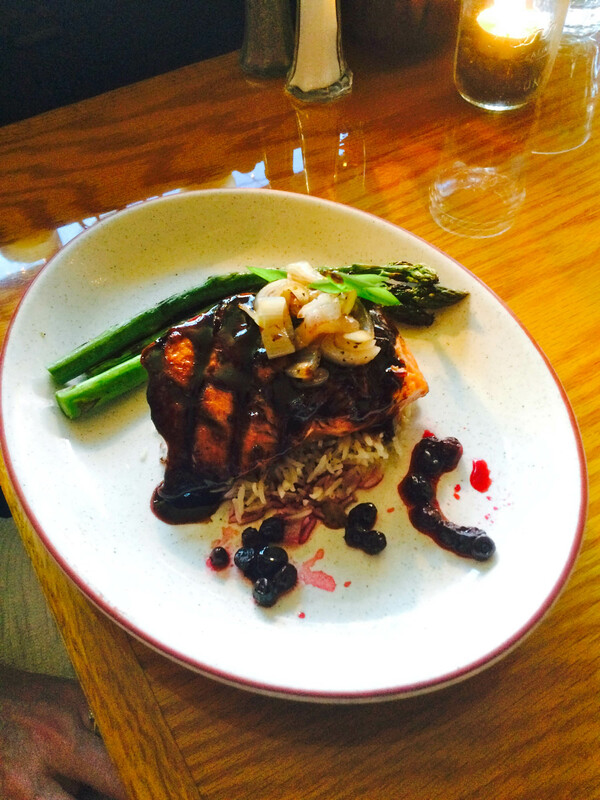 Baxters on Cedar is a great addition to the Sandpoint dining scene. They have consistently delicious food at a great price point. 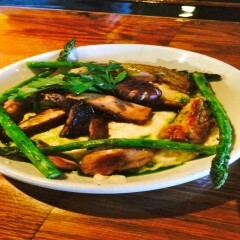 Their new chef Steve Nye is creative and really has made them great. 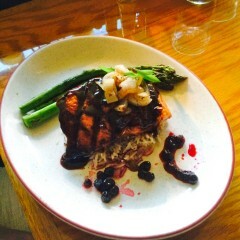 The portobello pizza is unreal and the Salmon in a port fig sauce was fantastic. Try the angel hair pasta drizzled with just the right amount of olive oil. Yumm yum. 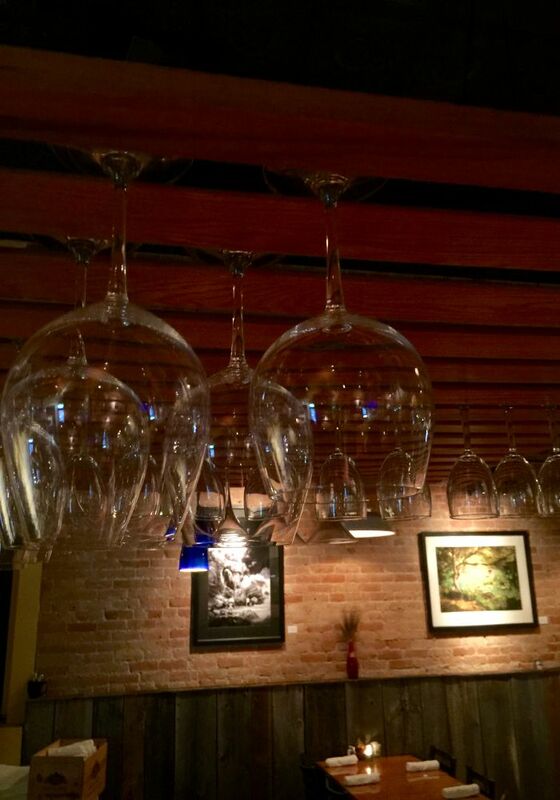 Their wine pours are generous and the service is great. They Also have a classic bar and great music. Highly recc this place. Make sure you give them a try. 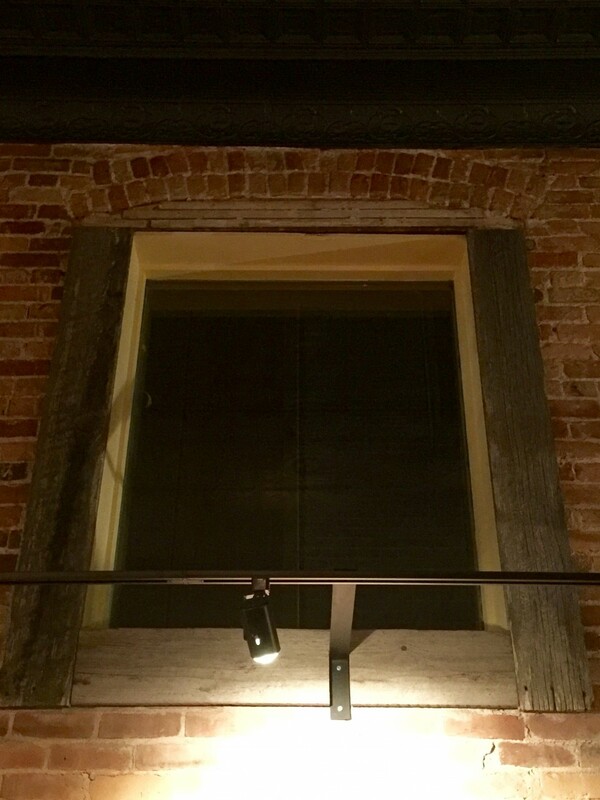 Set in a large room with 20 ft ceilings at least, exposed brick walls and a bar built from old church pews. Friendly staff including the owners Rich and Tommy who are both very much working. 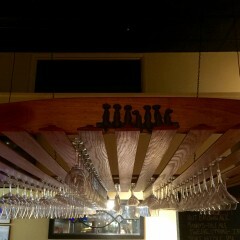 The food was outstanding, great wine and beer selection for a very reasonable price. 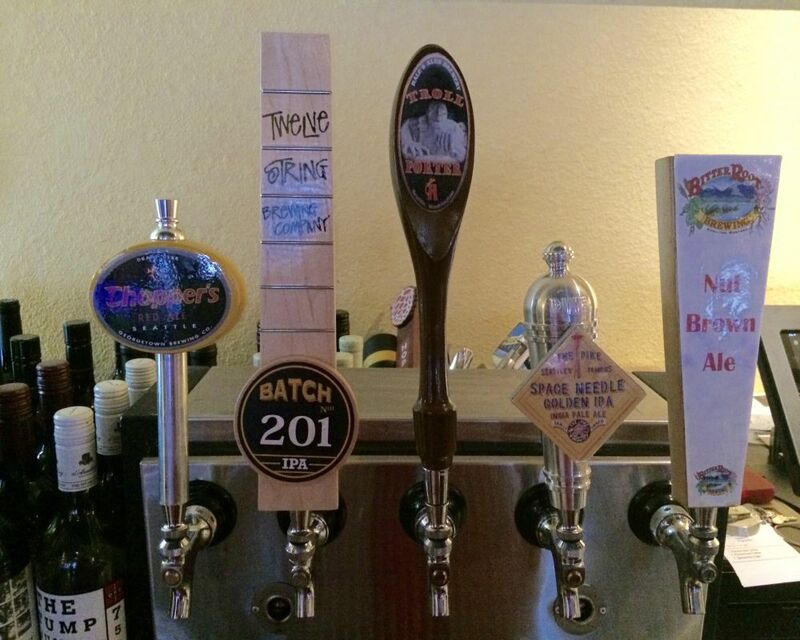 I will come to Baxters on each visit to the great lake town of Sandpoint Idaho. Do yourself a favor, go to Baxters first, you won't be disappointed! Amazing food! Great atmosphere! The gang at Baxters have high standards and you will experience this in your food and their service. Enjoy! 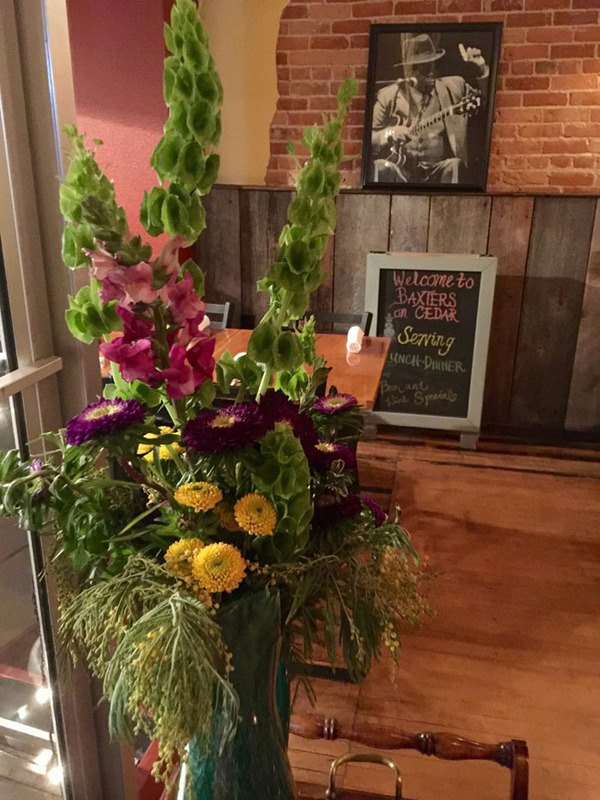 We are local to Sandpoint and Baxters has rapidly become our "go to" restaurant for special occasions, lunches and general dining out. The waitstaff are pleasant and knowledgeable, the food is interesting and always very good, and their specials well worth trying. The food and wine prices are very competitive. Each time we've been, one of the owners has been present and keeping an eye on what goes on, and interacting with each guest. Don't leave without trying their key lime pie! What a great find! I love this place. The food say so fresh & delicious. Spinach salad, burgers, tri-tip, meatloaf, steamers... BEER SELECTION. Unfortunately I was with my guys family that asked for ranch, thousand island dressing, lots of butter(!) uggggg. Embarrassed to say the least! great service. Thanks Baxters! 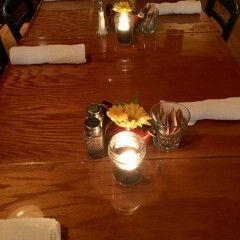 We popped in on a Tuesday about 6, were immediately seated at small, polished topped wooden table. Friendly and professional service. We each had salads 1st , mine excellent spinach, with a little bacon, red onion, seeds and crumbled blue cheese, served with just the right amount of vinegrette. (NOt overdressed). My husband raved about his Caesar. I ordered 2 generous lump crab cakes and would again and again. Excellent, with well seasoned rice pilaf and asparagus,for $17. Partner, for 20$, devoured two 2 or 3 inch lamb chops w. Mashed potatoes & aspar. Total food was $50, and we loved it and excellent service. We Will return. Both owners involved and checked on meal. This is a great spot. 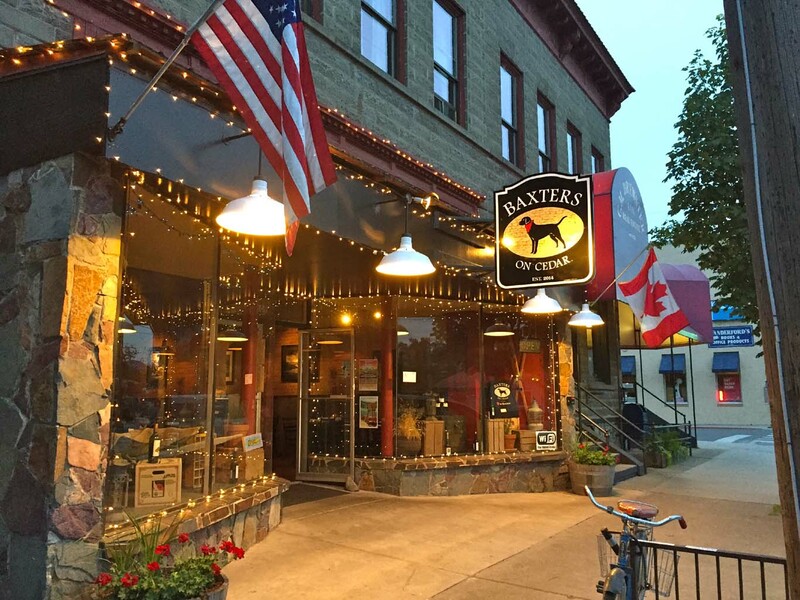 While on a trip through Sandpoint, my family stopped for a bite at Baxters because of other reviews on Tripadvisor. My husband had the Portobello mushroom burger, I had the single burger, my daughter had the shrimp tacos & chicken Caesar salad. Everyone loved their meal. I especially loved my huckleberry lemonade (a must) & and the fries were great! Great food! We tried the meatloaf and the sirloin, both amazing. Wonderful presentation and outstanding service. Will be going again and again! We arrived into Sandpoint for our first visit late in the evening on a Monday night. After unpacking, we headed out for some food in town and stumbled across Baxter's. It was just what we needed after a long, three-day road trip! Warm and welcoming! We sat at the bar where one of the owner's served us, while the other owner floated through the dining room checking on all their guests. The food was perfect! 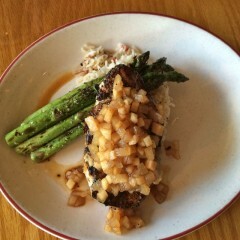 I had the crab cakes with asparagus that was crisp and yummy! My husband had the chicken which was equally delicious. Topped off with a cool glass of Sauvignon Blanc and we were happy travelers. We are looking at Sandpoint as a location for a second home. Baxter's would be a regular spot for us for sure! We had dinner at about 7:30 PM on a Wednesday evening. The place was filling up. 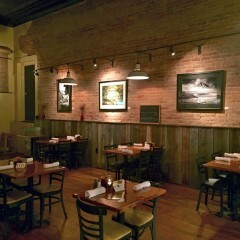 Excellent greeting, fine decor, lovely artwork on the brick walls. Wife had duck breast, rare for her taste, but delicious with roasted asparagus and the best mashed potatoes (who raves about spuds?). I had the yellow tail special. Done perfectly. Best key lime pie we've ever shared. Owner came to see how we liked our meals. I have to come back and try the meatloaf. I had the roasted turkey and cranberry sandwich and it was good! I really enjoyed the bread, which is like a lighter and sweeter ciabatta roll. The service was prompt and friendly. The menu was very inviting but I decided to go with the Daily Specials: Yellowtail Tuna (appetizer) and Plum Glazed Halibut (main course). Both dishes were cooked to perfection, absolutely delicious and could rival any seafood dishes I’ve had in Boston. The attention to detail in the presentation of both dishes was also quite impressive. For dessert I went back to the menu and had the house special - Key Lime Pie. It was the perfect ending to a wonderful meal. So good in fact that I'm going back again before I leave! From the moment we walked in and were greeted by one of the owners, I knew this was going to be a five star dining experience. 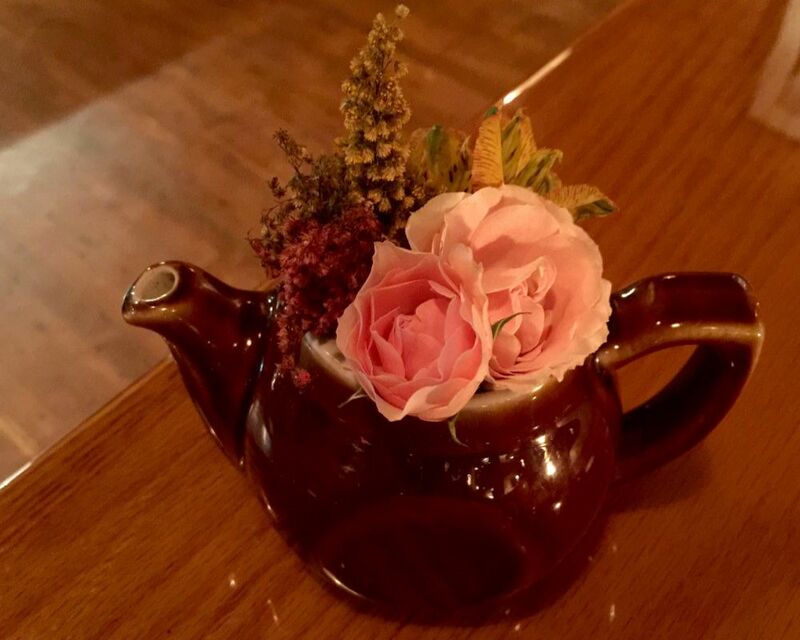 Most restaurants serve iced tea that has gone south for the winter. Their iced tea was freshly brewed, a good sign for things to come. I ordered a burger with 2 year old aged white cheddar cheese, medium rare. It was made to perfection with hand cut fries. My wife had the Caesar salad with freshly grilled chicken. It was a traditional home made Caesar with anchovies, rare to find these days. The key lime pie was better than any I've experienced in Key West. I highly recommend this place. Great place to grab a bite. The staff were very friendly and the food was great. The Chicken soup, huckleberry lemonade, and meatloaf were all good choices. 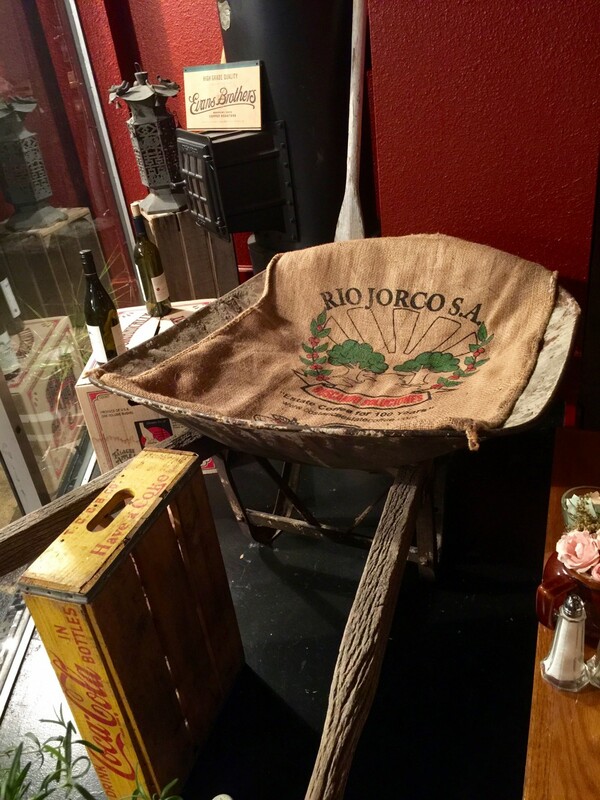 We have traveled all over the area, and this is by far the best restaurant we have been to. 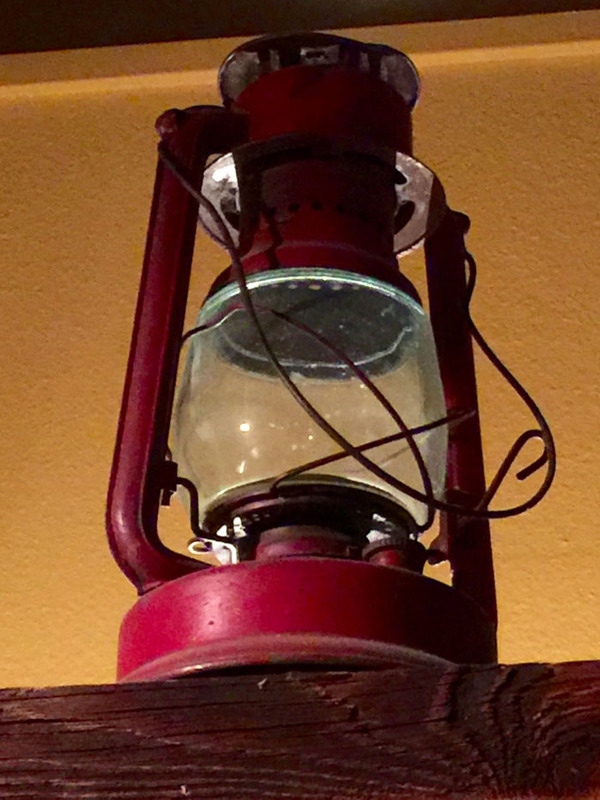 From the ambiance, to the great food, and to the excellent staff, we were not disappointed. The food was very good and the prices were even better. 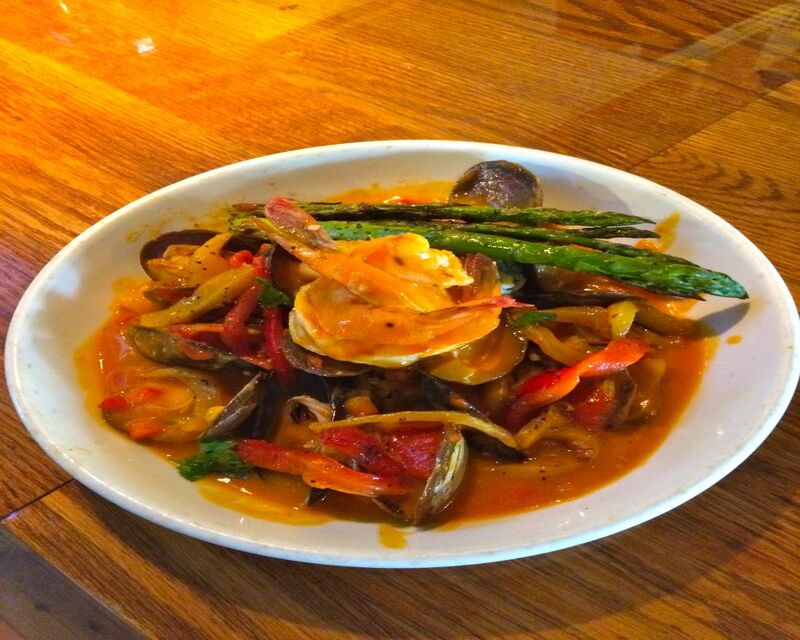 There is something for every appetite. Highly recommend this place. So much so, I enjoyed two meals today. Will definitely come back next time I'm in the area. We read about this restaurant on Trip Advisor and sought it out on our way from Banff to Spokane. Glad we did! I ordered the Blue Bacon Burger and it was cooked to order. I loved the blue cheese. My husband had the special of the day - a steak sandwich with grilled onions and melted blue cheese. Both our dishes were served with crispy fries that couldn't have been better. After reading earlier recommendations we also shared a slice of the Key Lime Pie. It was a perfect combo of sweet and tart! We would definitely return. 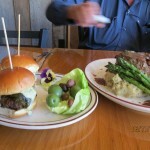 I checked in Tripadvisor some good restaurants to go to while in Sandpoint. I went to Baxters on Cedar the first night I was there and had Pork Chops and it just blew my mind not to mention that I had the most amazing Keylime Pie ever. 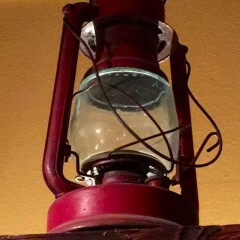 Ambience is great, service is outstanding (owner checking on you and your overall experience). I had to go back and the second time I had Halibut and the experience was just as memorable. Definitevely this place is a must go to when in Sandpoint. 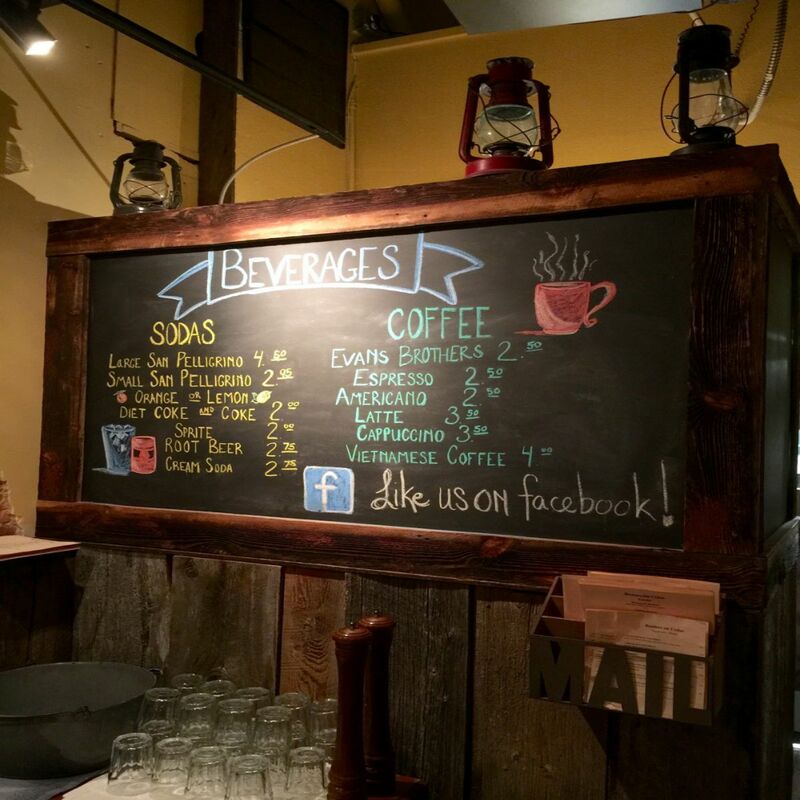 We were visiting Sandpoint and came across Baxters on Cedar. We started with the lamb sliders before dinner and they where juicy and cooked perfectly. I had the Sablefish and my husband had the Halibut and both were excellent. 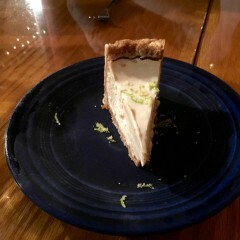 We finished with the servers recommendation for the Key Lime Pie which was better than anything we've had in Florida. Great service and ambiance. This is a must try if you are passing through Sandpoint!!! We showed up a little late for dinner and the place was pretty full so we sat at the bar. It took a few minutes to get waited on because the bartender was working the rest of the restaurant and the register. When he did get to us, he took our drink orders and said he would be back but it might be a little while. The hustle and bustle was actually entertaining and we were in no hurry. Tommy was working hard, got back to us many times and when things finally slowed down he apologized again and explained the hectic evening. The food was great and the service was fun. Thanks Tommy for an outstanding time. Just around the corner from the beaten path but a diamond. Excellent food, interesting menu. Great food. Well prepared and presented. Good service. Good prices. What else is there to say? The service was friendly and quick. I thoroughly enjoyed my meal. This place was definitely worth going to. I almost hate to review this restaurant, for fear of not being able to get in next time. 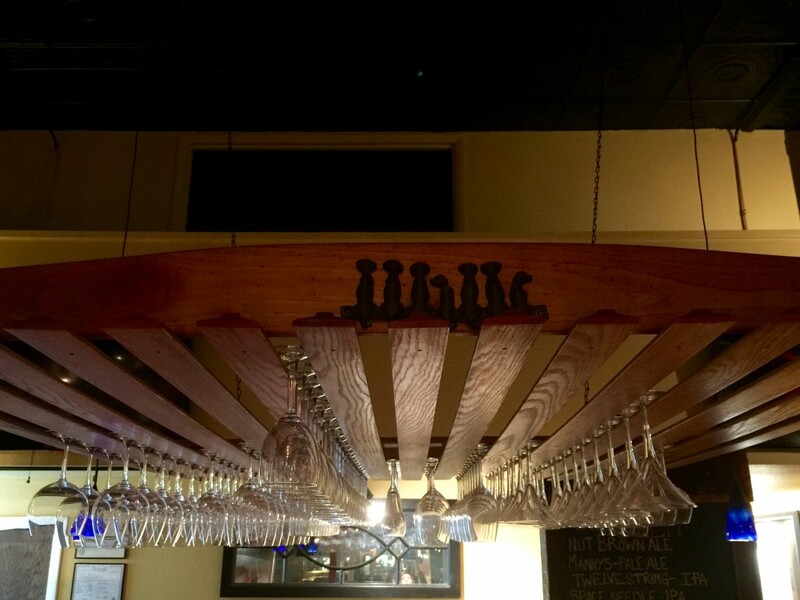 There is something for every taste, prepared well, with a knowledgeable staff regarding the wine and beer selection. The service is outstanding. We have spent a lot of time in Sandpoint over the years. 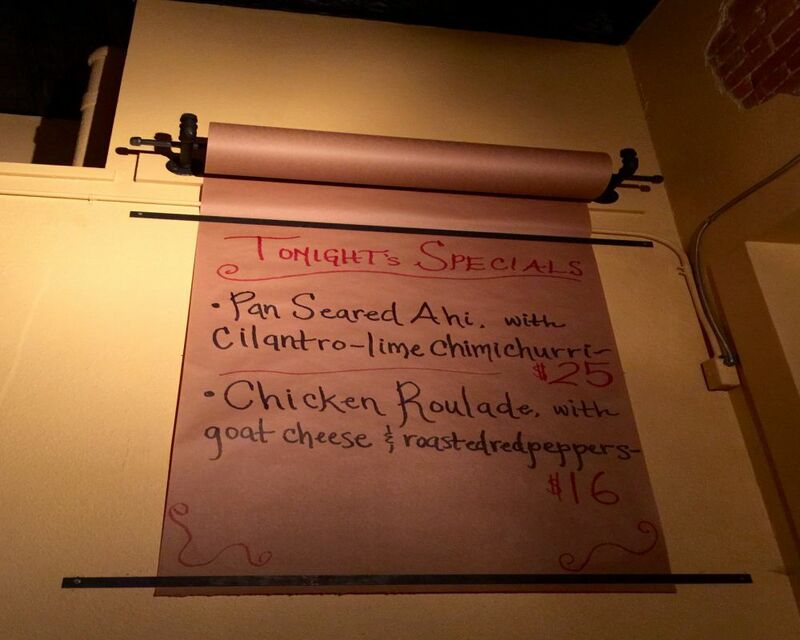 This is a new place that offers a surprising menu. We enjoyed the food and the staff. 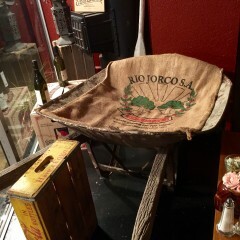 Love this little bristo type of restaurant for good food and good service. Located around the corner from most shopping on Sandpoints 1st Avenue it is the perfect location. 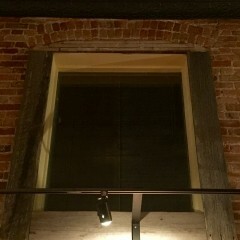 Their Duck dinner and specials are great and nice wine list. A bar is handy for quick stops and hanging out. Their Key Lime pie rates up there with what I have had in the Key's in Florida! We had never been and while reviews help you never know. I am happy to say the service was great the specials fantastic and of course the key lime pie was out of this world. Oh and let's not forget the spinach salad was called "best ever" by several of our group. You won't be disappointed! Absolutely loved the food. But, the service was even better. I had their meatloaf which was top 3 material in a life of eating a lot of meatloaf. Wife said her pork chop was the best she ever ate. Place a had a great, warm and friendly vibe. Besides our server being outstanding, the owner also stopped by our table a couple times and demonstrated some true hospitality. Can't wait to go back. 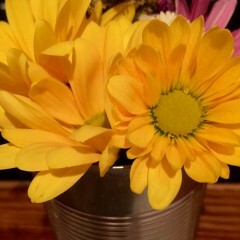 Hubby and I celebrated my birthday with a great meal at Baxters on Cedar. I had the daily special with Halibut and he had the meatloaf. Meal ended with two empty plates! Shared the Key Lime pie. Will visit again soon. There isn't a bad meal served in this place. I have been eating my way thru the menu over a number of months and have never had a bad meal. Dont miss the meatloaf !! Or the duck !!! 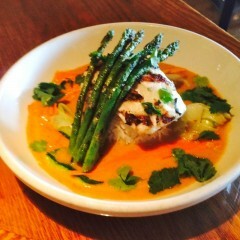 Or the halibut. From appetizers to desert it's all good. The key lime pie for desert is the best Ive tasted. 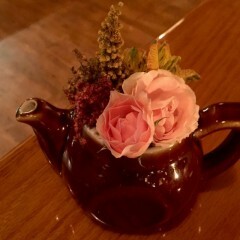 The staff is wonderful. Tommy, behind the bar keeps the plae humming with great tunes. 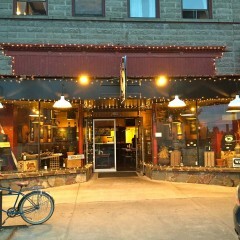 If you visit Sandpoint...go to Baxters. Prices do not reflect the quality of the food. 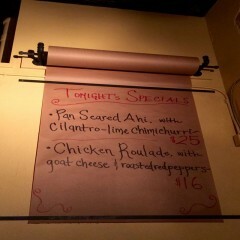 It is an exceptional menu. Good variety. We had the Portobello mushroom burger to share and soup of the day. Very filling and delicious. Quiet surroundings. While spending a day in Sandpoint, we randomly chose this restaurant for lunch. Lucky us! 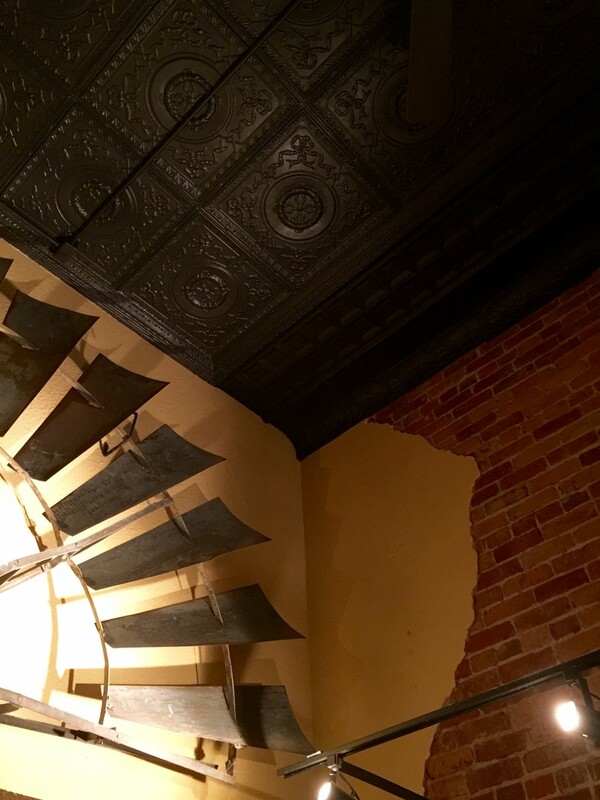 The renovated brick building is very well done, the service was provided by none other then one of the owners, and the food was fresh and fabulous. For example: the hamburger looked to be a hand-made thick patty, served on a buttery, toasted bun. Not a single detail has been overlooked, right down to the fresh flowers in the spotless rest room. 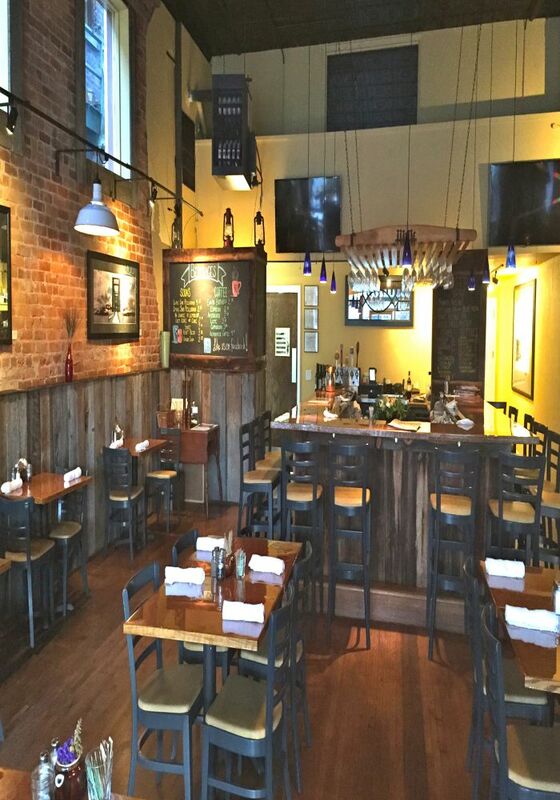 A great restaurant like you would find in only large, expensive, highly-sought, city locations. I love this kind of place. 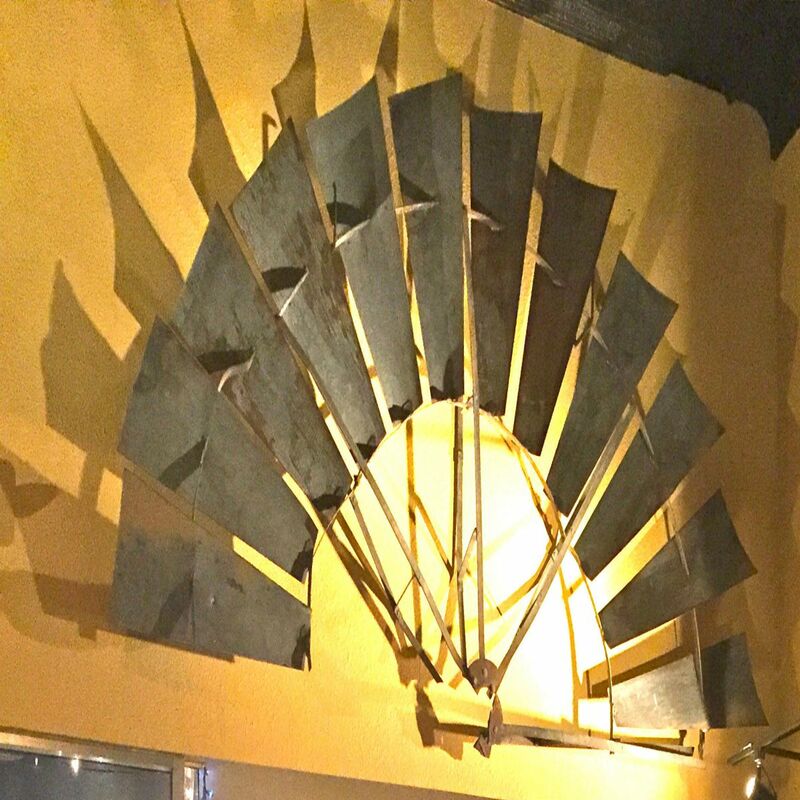 The name and decor drew us in. The food will bring us back. 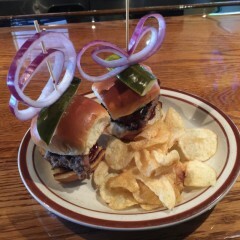 I had great lamb sliders with Moroccan spices. My fiance had the meatloaf and mashed potatoes and the best Keylime pie she ever had! She said the meatloaf was killer. The owners Tommy and Rich greeted us and were great hosts. Our server Maia was the best! This is a must stop if you are traveling through Sandpoint. We eat at Baxter's frequently while at our second home. The food is consistently good - particularly the daily specials. The wait staff are pleasant, professional, and well informed about the menu. All in all a consistently good experience. 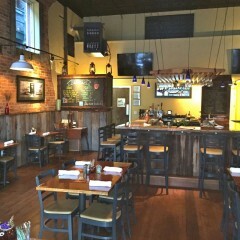 This is a nice new restaurant in Sandpoint with a small menu that changes daily. Good service, good food, friendly staff. 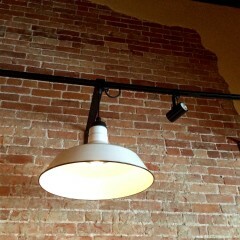 I am from Boulder, Colorado, an emerging "foodie" town and being used to great food, I was excited to land upon Baxters. While the atmosphere is welcoming and relaxed there is a subtle hum or energy to this place that excites. The staff was knowledgable, friendly and happy to be there. 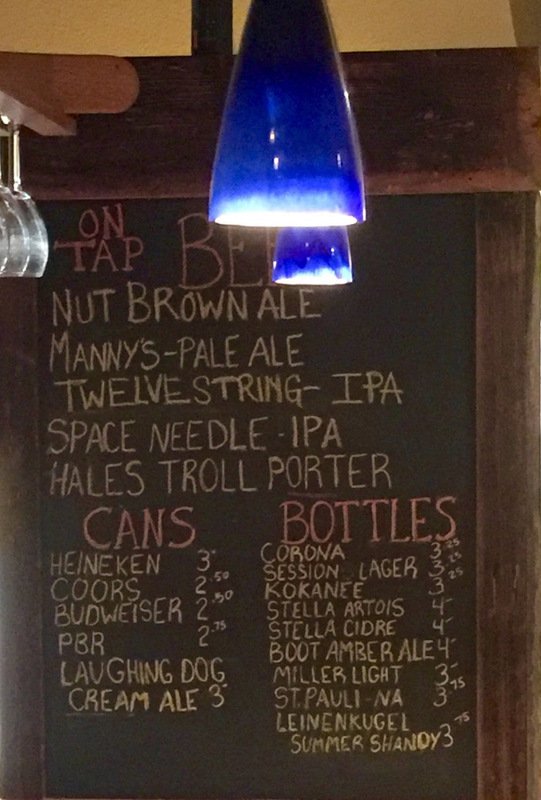 Baxter's offered a perfect selection of wines and beers and the menu was beautifully appealing. My meal was "spot on". Literally, I had no complaints and was completely satisfied. I couldn't refuse dessert and nor should you...again, delicious. Not only would I recommend this restaurant, I will and would frequent this restaurant again and again. 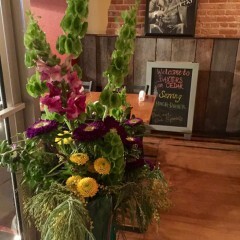 Thanks Baxter's for a wonderful evening! We drop in here pretty often and have yet to be disappointed. 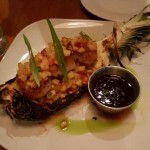 Service is top notch, presentation is great and the quality of the food is very good. 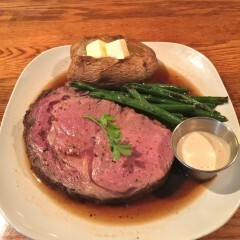 Prime rib and halibut last night exceeded expectations! Great job! 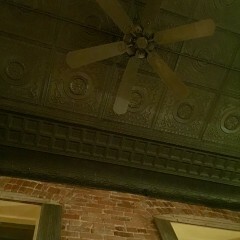 Have eaten at Baxter's several times in the past and never been disappointed. After searching high and low for a decent hamburger, I found it at Baxter's and it's easily the best in town. Prices are fair, too. Soups have been good, and I had one of their two duck dishes on my most recent visit. Excellent. I wanted to make a substitution, and it was problem-free. The staff is eager to serve, and my server on this last last visit even remembered us from a previous visit that was quite a while before. Impressive. 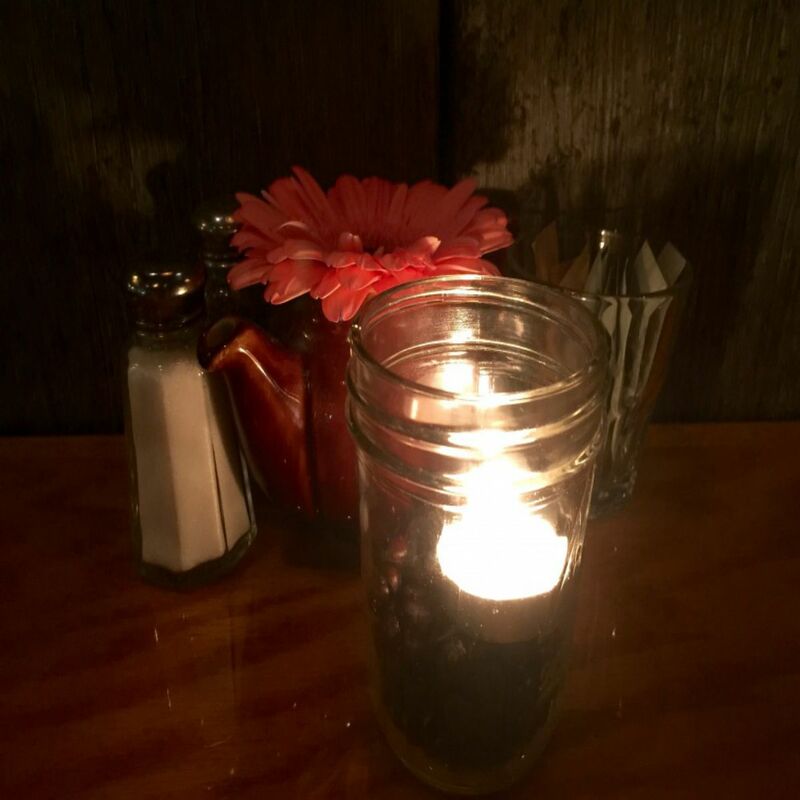 The ambiance is perfect for the kind of restaurant it is. My favorite overall restaurant in Sandpoint. Friendly service, interesting, slightly unusual menu, tasty food. A good choice for food in this somewhat limited town. 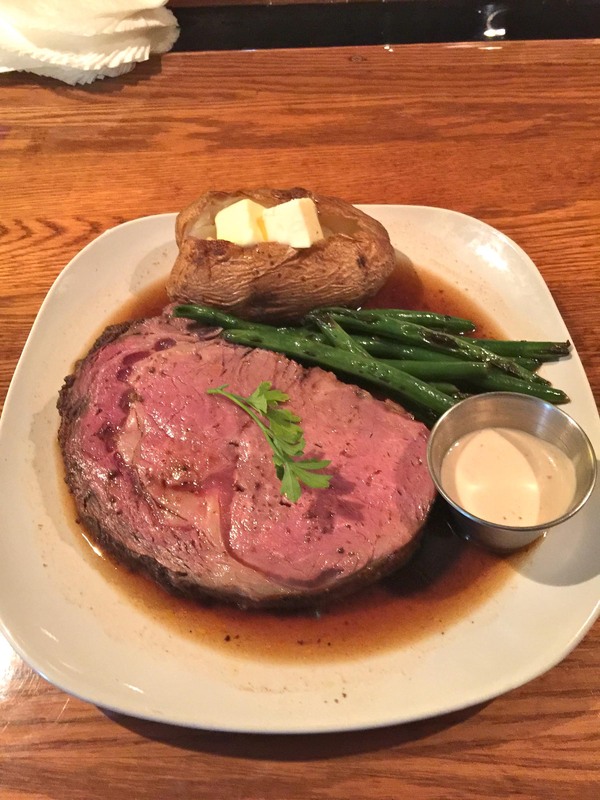 Always like to go to dinner with the wife here...I really like the dinner specials (my favorite is the meatloaf) but Tommy the bartender recommended the prime rib and he was right. Always cheerful help and great atmosphere. 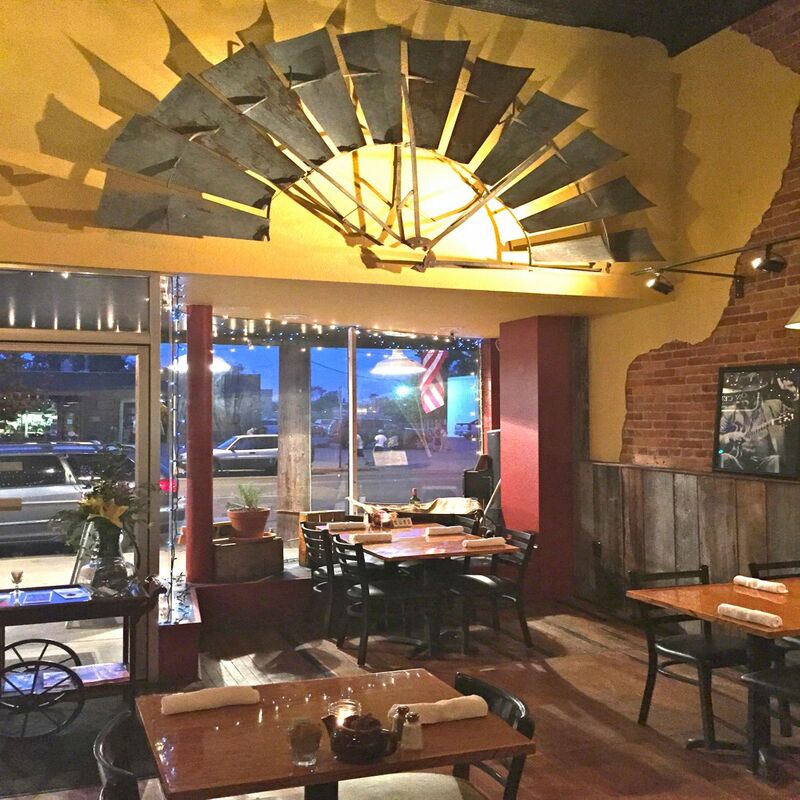 “Great atmosphere with warm interaction with co-owners"
Courteous and prompt service by wait staff. Interesting and tasty meals at reasonalbe prices. Quaint surroundings. This place is a great to eat. They have really added to Sandpoint's charm. The pork belly sandwich is unbelievable. It is one of the best I have ever had. We have gone to Baxters many times for both lunch and dinner. 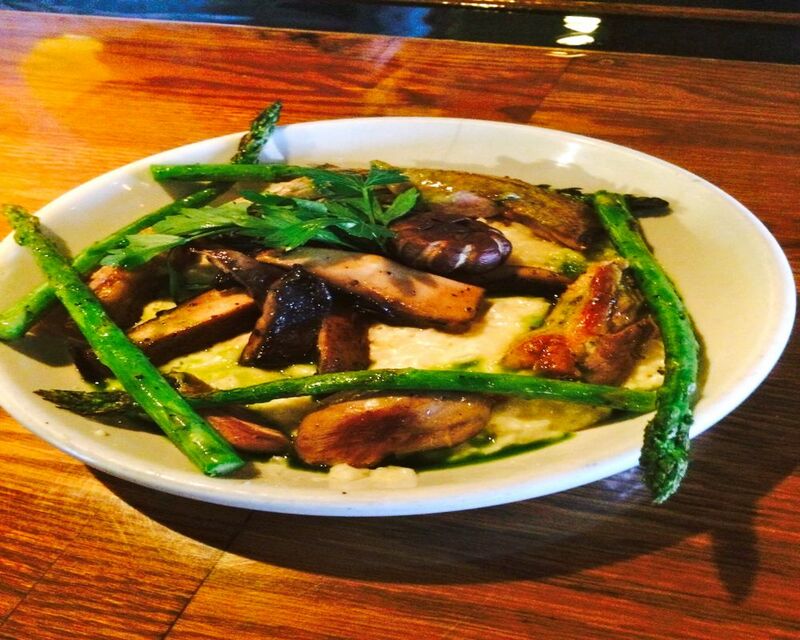 It is always delicious, reasonably priced and the service has always been outstanding.